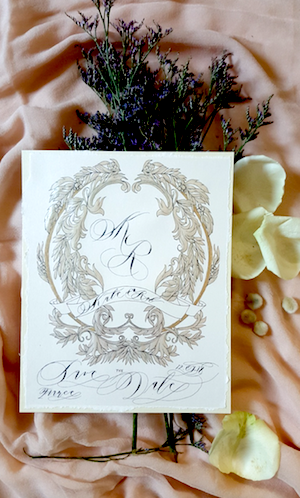 Save the date cards are available in standard and bespoke sizes. At Crimson Letters we enjoy creating completely bespoke designs and all sorts of sizes. 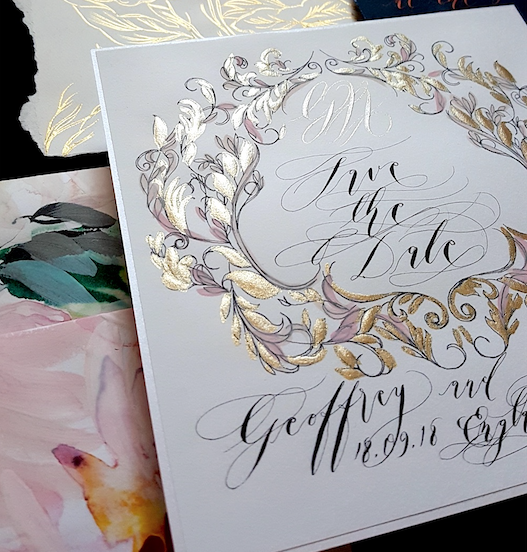 Our Protea save the date cards, has a large bespoke size and an exclusively designed envelope with rich copper foil details to match. 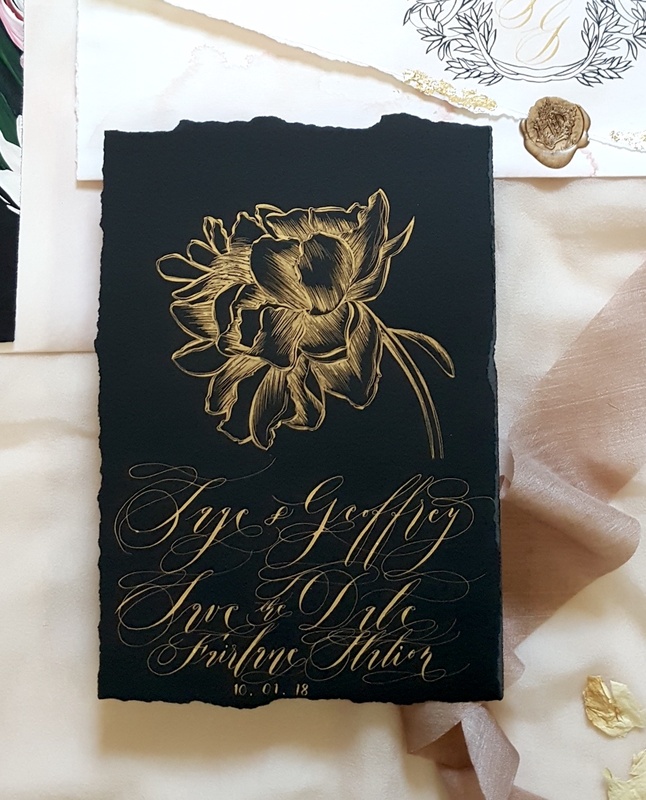 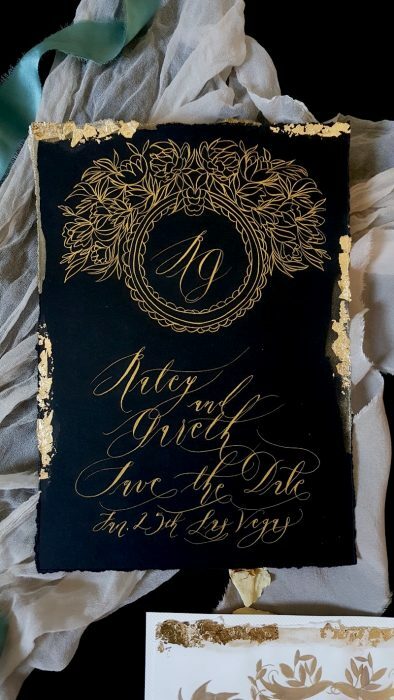 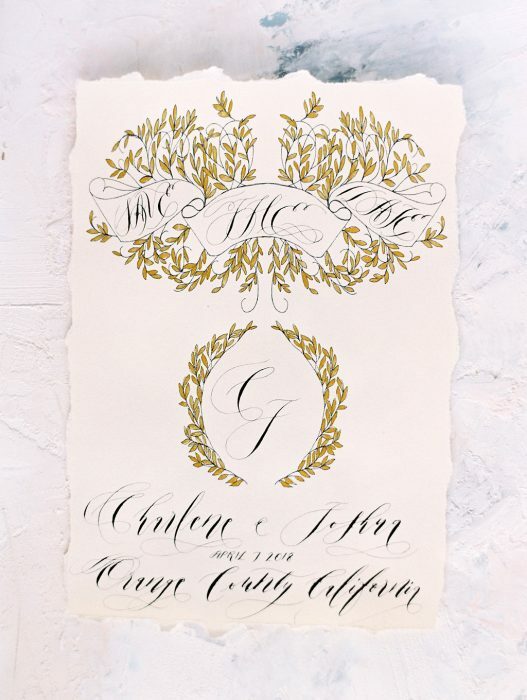 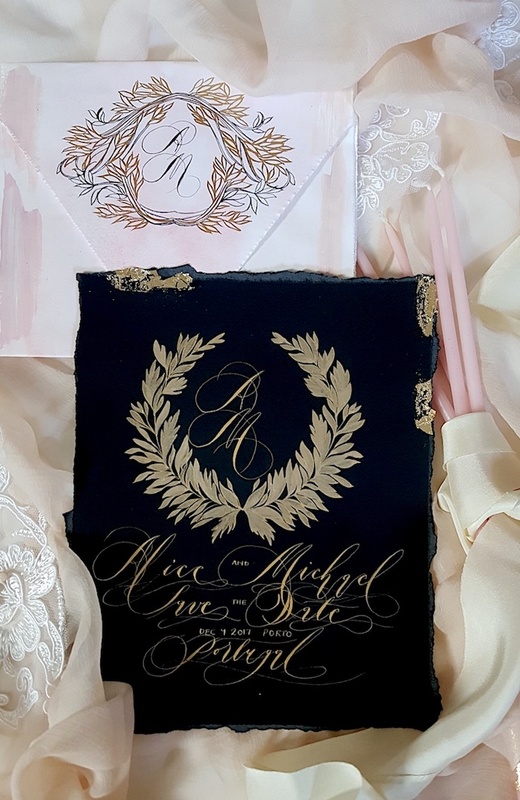 Other save the date cards are completely designed using calligraphy, such as the black and gold card below. 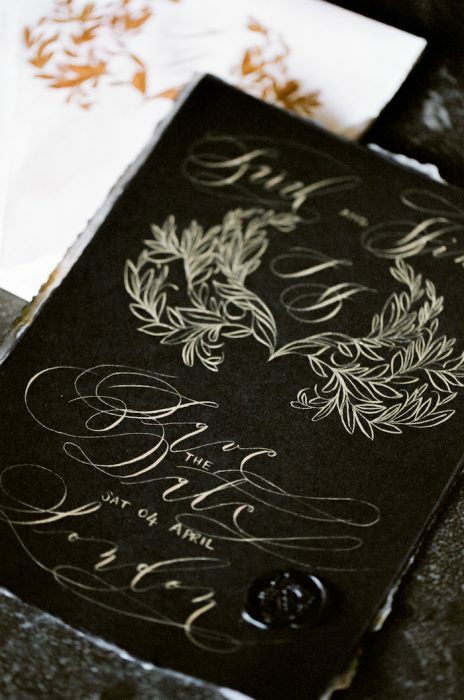 Whatever your desires are, our designs are completely custom made.